All the waiting is over and the field is set for the 2016NCAA Tournament. 68 schools will take part in the annual tournament with eight of those schools descending upon Dayton for the First Four Tuesday and Wednesday The official first round will start Thursday afternoon in a number of venues and will carry on through the weekend. The tournament will continue through the beginning of April with the Final Four and Championship Game in Houston, Texas at NRG Stadium. For the sixth straight year, the First Four will be played at University of Dayton Arena in Dayton, Ohio. Before the field was expanded to 68 teams, the first play-in games were also played in Dayton with a field of 65 schools. The name “First Four” is for the four games that will be played in Dayton, consisting of eight schools looking to make the first round of 64 teams. Two games will be played each day, starting on March 15. The first round will start on March 17 at four locations. The first is Dunkin Donuts Center in Providence, Rhode Island. An All-Sessions pass the second least expensive for the host sites for March 17 and 19 games, but fifth most expensive across all eight first and second round hosts. Wells Fargo Arena in Des Moines, Iowa -- not to be confused with Wells Fargo Arena in Philadelphia, which will host the East Regional -- will feature the most expensive All-Sessions pass for the first and second rounds. The starting price on the secondary market is $330. An All-Sessions pass in Raleigh will be the least expensive of the four hosts starting on March 17, but it still more expensive than two of the host sites tipping off the next day. Denver will feature the last of the first and second round games played on the 17th and 19th. The get-in price to see all sessions is $575. Brooklyn will feature some fairly local ties with a potential Big 5 matchup in the second round. Temple, rumored to be on the bubble, made the tournament as a 10-seed and could face off with Philadelphia rival Villanova in Round of 32. The first round also features a possible Notre Dame-Michigan matchup should the Wolverines win in the First Four. 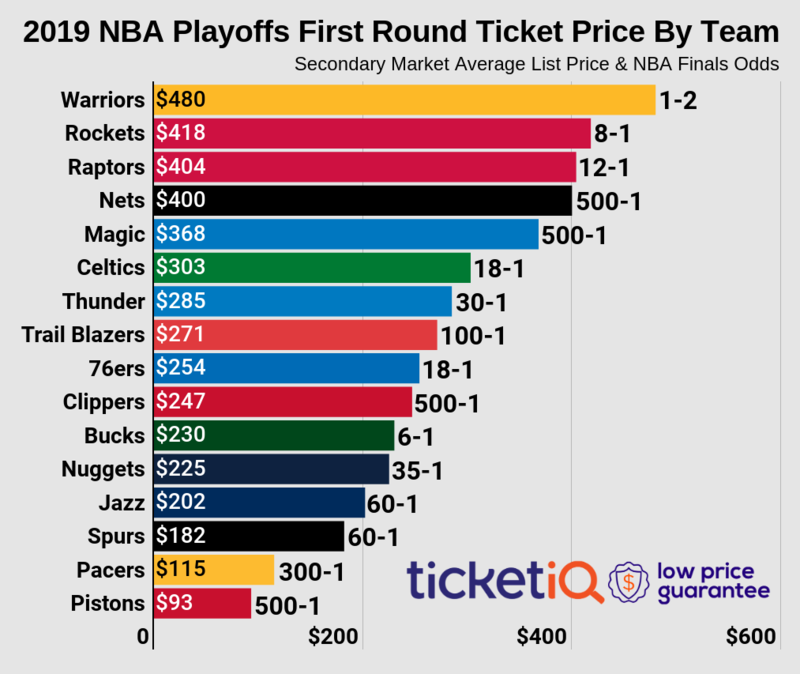 The $491.81 All-Sessions average price at the Scottrade Center is the second least expensive for the first two rounds of the NCAA Tournament. The $181 is also the lowest get-in price for an All-Sessions pass. Oklahoma, a possible dark horse in the tournament, gets a de facto home game in Oklahoma City when they take on CSU Bakersfield. The $215 get-in price for an All-Sessions pass is one of the least expensive for the first two rounds. Spokane Veterans Memorial Arena is one of the smaller arenas to be hosting first and second round games with a capacity of just 14,000. A surprise No. 1 seed in Oregon is close enough to pull some local fans to the intimate arena when they take on the winner of the play-in game between Holy Cross and Southern. Louisville will host the South Regional for the Sweet 16 and Elite Eight and the average price for an All-Sessions pass will be the cheapest at $449.37. The top four seeds in the South Regional are Kansas, Villanova, Miami and California. The West Regional will run through Anaheim’s Honda Center on March 24 for the Sweet 16 and March 25 for the Elite Eight. The get-in price of $167 for an All-Sessions pass is the least expensive for the four regional hosts. The West's top four seeds are Oregon, Oklahoma, Texas A&M and Duke. The other Wells Fargo, the Center in Philadelphia will be host to the East Regional on March 25 and 27. The get-in price of $248 for All-Sessions is the most expensive for regional venues. Three Philadelphia teams are in the tournament, but none will have the opportunity to play a regional game in the city. The top four seeds in the region are North Carolina, Xavier, West Virginia and Kentucky. Chicago will be the host for the Midwest Regional on March 25 and 27. The average price of $536.23 for an All-Sessions pass is the second least expensive during the regional rounds. The Midwest's top four seeds in the tournament are Virginia, Michigan State, Utah and Iowa State. This year’s Final Four and Championship Game will be held at NRG Stadium in Houston, Texas. The stadium last hosted the Final Four in 2011 and has hosted the South Regional in 2008, 2010 and 2015. The Final Four will take place on April 2 with the Championship Game held on April 4.